It’s often said that adventure may hurt but monotony may kill a person. This holds true for those part of the entertainment industry, for whom experimenting is often requisite in the race for relevance. But only a few wilfully step out of their comfort zone and even fewer explore a polarised genre, especially when they’ve already earned their spurs in one. For Jawad Bashir, who has long been known to leave his fans in stitches with his stints as an actor, a musician and a director, exploring the horror genre speaks volumes of his daring approach to his career. As the ‘Dr’ of the Dr Aur Billa act gears up for his feature-film directorial debut with the horror film Maya, The Express Tribune explores the reason for this unanticipated detour. “Nowadays, everybody’s making a comedy film. There’s nothing wrong with that, but there’s nothing new in that either,” says Bashir. Emphasising the need to experiment in the film industry, which is still in its infancy, he admits that he is risking his reputation as a filmmaker to inspire the generations to come. “People call me a trendsetter because, instead of following people, I prefer to create my own path. There’s a chance this film may not do well, but it’ll also encourage the new lot of filmmakers to not shy away from doing something new,” he adds. Those who have followed Bashir’s career won’t be surprised by his desire to experiment as nearly 21 years ago, he single-handedly pioneered the genre of comedy-pop with his band Dr Aur Billa. Bored of the then trending lovesick concept, he wrote a song about a person, who isn’t in love and is at peace with himself. When all other bands refused to sing the song, he took up the challenge himself and the rest is history. On the untapped potential in the film industry to experiment with the genre, Bashir says only two major horror films, Zinda Laash and Sar Kata Insaan, have been made so far. “Both the movies were made during my childhood,” he states. A self-proclaimed horror-movie buff, he first stumbled upon the idea of Maya when his wife, who spent a majority of her life in Europe, narrated a true story about how a few people visiting Denmark had a supernatural experience. Initially conceptualised as a short film, Bashir was forced to shelve the project due to other commitments, but decided to return to the project a few years later. Despite adding a few fictitious elements to transform it into a feature film, he shares that he has kept the story as ‘true’ as possible. “I wanted to keep it as true as I could as it was my responsibility to document these events properly through my film,” he explains. Although horror films Zibahkhana and Siyaah have surfaced in recent times, Bashir insists that Maya is the first horror film of new-age Pakistani cinema. “Both of these were essentially short films, which had a brief run in the cinema. Maya, on the other hand, has specifically been made for the big screen,” he argues. Unlike other present-day horror movies, Bashir hasn’t relied on visual effects to send chills down the spine and has resorted to good old-fashioned storytelling and focused more on his characters. “I’m a big fan of Japanese horror movies. They don’t rely too much on VFX. Similarly, I’ve also kept a raw feel to the movie and, like traditional horror films, my movie will play with the audience’s anticipation,” he explains. 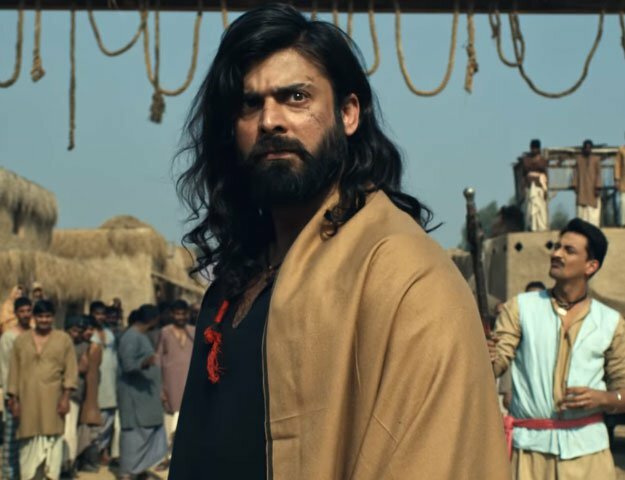 Despite that, he has laid importance on sound design and even roped in a US-based company for the task, with the film’s sound being recorded in the US and mixed in Pakistan.